The TLDP is pulling out all the stops this year. Team 3 returned just over a week ago after another extremely busy and productive 2 weeks. 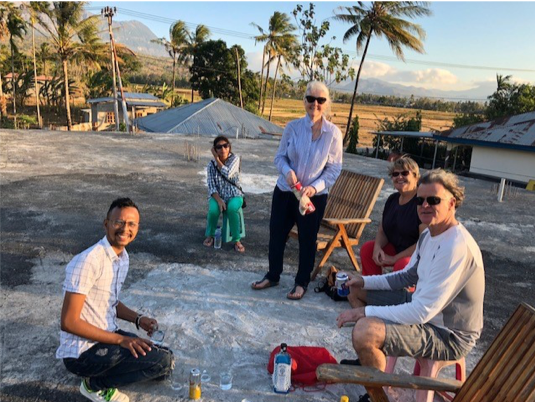 Team Leader, Dr David Digges, was joined again by return volunteers, Dr Charmaine White and Liz Eberl; as well as newcomers, Dr Henry Gilkes in Week 1, and Dr Stephanie Shields in Week 2. 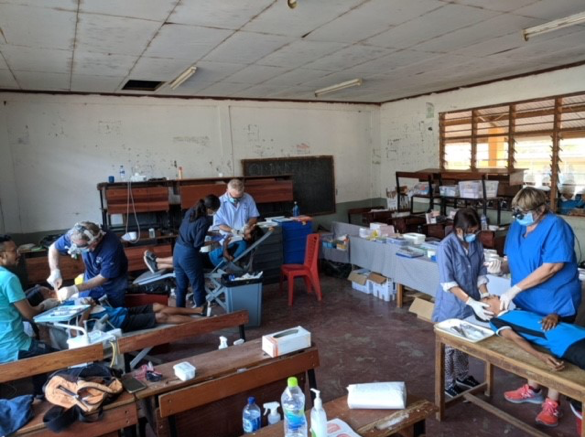 The team’s indispensable Timorese contingent consisted of dental therapist, Nicolau Tolentino Pires (Nico), dental assistant, Ana Paula Dos Santos Tavares Salgado, and translators, Isabel Noronha Pereira De Lima Maia (Isa), and Bonifacio Cardoso Martins (Bony). The team had to do without Nico for the first week, as he was on paternity leave. His wife, Antonia, had just given birth to a son the week before. Congratulations to them both!!!! The last 2 days of week 1 were spent in the village of Cailaco, an interesting 1 hour drive from Maliana – the team had to cross a couple of ‘quaint’ bridges and negotiate a mud-crossing to get there! 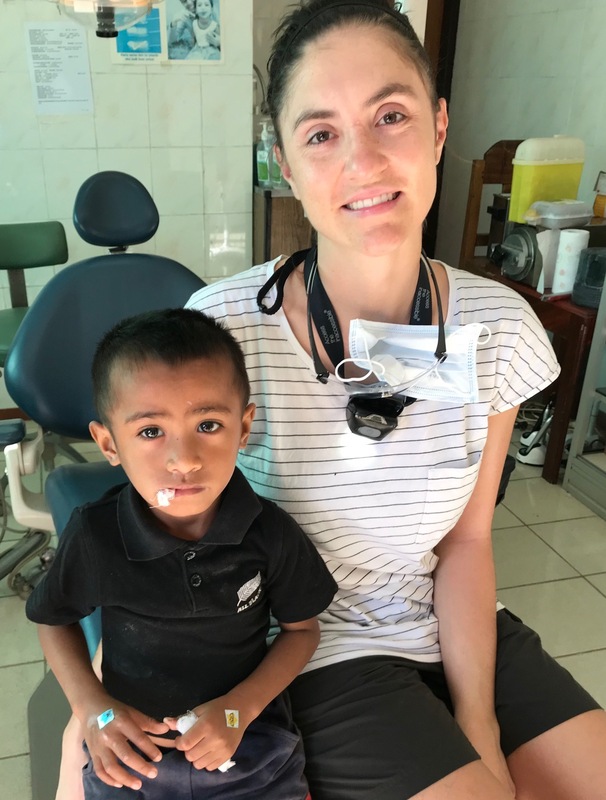 The people of Cailaco had never seen a dentist before, so the team was inundated with work. David said, “it was hard yakka – lunch on the run Thursday, and only a brief respite on Friday”. Week 1 was a baptism of fire for Henry, who despite being totally exhausted by the end of the week, intends to return next year! Monday to Wednesday was spent treating the children of Aipelo Bogoro School, in a very poor area in Liquiça district. 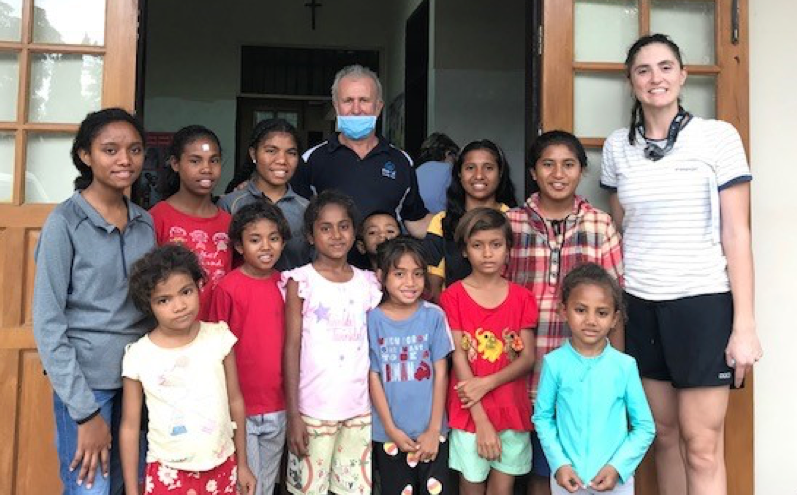 Despite the presence of a government dental therapist who is responsible for this district, and only being an hour from the capital city, many of the children had never seen a dentist before. The TLDP were there at the request of the school’s principal. There was a massive amount of decay in the children’s teeth – the team extracted 226 teeth in those 3 days alone! Nico is an extremely hard worker and after only a little mentoring, has become very competent with his extractions. He was on fire those 3 days! 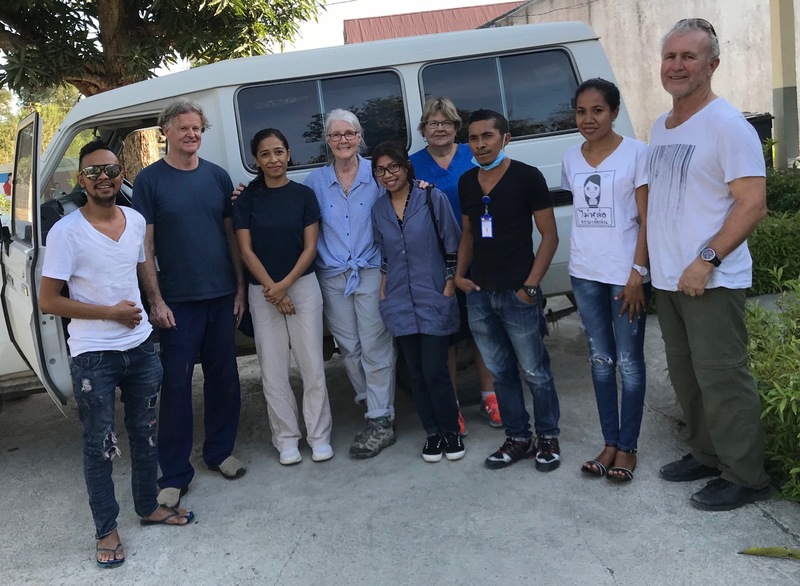 It was a real boon to the team to also have Ana Paula on board – an Australian-qualified dental assistant, who also speaks Tetum, is priceless. She and Isa sterilised, assisted and translated for the entire team, as if on roller-skates. The last 2 days were spent at our Maubara base clinic treating the community, the Carmelites and the Orphanage kids. With a little more time on their hands, Nico was able to work on his weaknesses, attempting complex fillings with guidance from Charmaine and Steph. The team also carried out the necessary and every-present inventories and equipment maintenance. The team got off lightly with equipment problems – only the suction unit malfunctioned this trip. This is the third time that this unit has kicked the bucket, but we are hoping to repair it again, as it is quite expensive to replace. Fingers crossed! At time of writing, we are still hopeful, but it is not looking good for our suction unit – unfortunately, it seems we may have to fork out USD2000 soon. According to the team, it was a busy and wonderful 2 weeks. Henry and Steph did fabulously as first time volunteers and we are hoping that we did not wear them out too much! The veterans, Liz and Charmaine, also worked tirelessly, despite being a little under the weather towards the end of Week 1. The team saw 1261 patients, extracted 527 teeth, did 406 fillings, and 241 preventive treatments. Go team!